He has moved the Madras High Court seeking police protection. IAS officer U. Sagayam, appointed by the Madras High Court as the legal Commissioner to inspect various types of mining activities in the State, has alleged that he was being threatened, and moved the court seeking police protection. 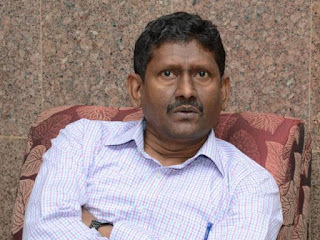 Mr. Sagayam's advocate M. Radhakrishnan on Monday moved the first Bench of Chief Justice Indira Banerjee and Justice M. Sundar during hearings to extend the tenure of Mr. Sagayam's investigating commission. The court granted an extension till August 31, 2017 for submission of the commission's final report. Mr. Radhakrishnan also moved a petition seeking protection for Sevar Kodiyon, who assisted Mr. Sagayam in his investigation. Mr. Radhakrishnan sought a detailed investigation into the death of S. Parthasarathy, another individual who had assisted the Legal Commissioner. The aero-modelling expert was killed in April 2015 when his car crashed into a tree by the wayside in Madurai. The Bench adjourned the petitions seeking police protection and further investigation, till September 14.